AJ for the everyman. 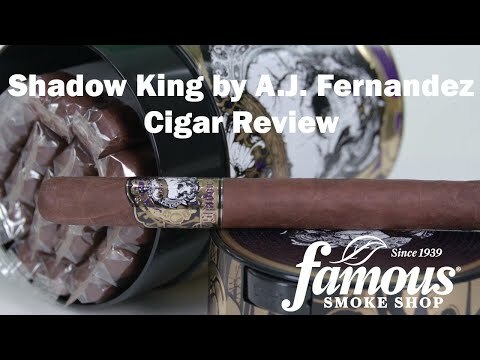 Shadow King by AJ Fernandez, featured in affordably priced humidor jars, has all the makings of a great cigar; mouthwatering flavor, primo tobacco, affordable and price, and it's made by AJ. This premium embodies a full body with an Oscuro Sumatra wrapper, Mexican binder, and smooth Nicaraguan, Dominican, and Honduran filler. Be warned, this creeper of the shadows will sneak up on you with classic AJ strength. Order yours today and walk through the valley of the Shadow King.